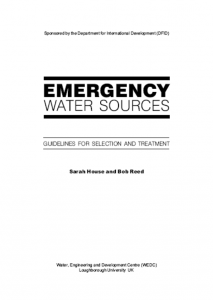 These guidelines have been designed to help those involved in the assessment of emergency water sources to collect relevant information in a systematic way, to use this information to select a source or sources and to determine the appropriate level of treatment required to make the water suitable for drinking. Tags: Groundwater. Organisations: WEDC. Categories: WASH Emergency Guidelines. Organisations: SDC and Université de Neuchâtel. Categories: Training Materials. 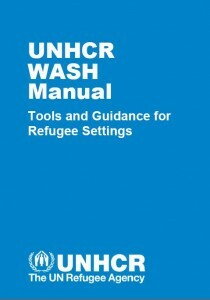 The UNHCR WASH Manual is a comprehensive and authoritative reference document for WASH interventions in refugee settings, built upon the experience of UNHCR and WASH organisations. Tags: Bloody Diarrhoea, Communicable Disease Control, Community Led Total Sanitation (CLTS), Desludging and Excreta Transportation, Excreta / Urine ReUse, Excreta Composting, Hygiene Behaviour Change, Landfill Management, Malaria, Medical Waste Management, Menstruation Hygiene Management, Public Health, Sewerage and Excreta Conveyance, Waste Recycling , Reuse and Reduction, Water Prospection and Investigation, Water Prospection and Investigation, Water Prospection and Investigation, Water Pumping, Water Pumping, Water Safety Plans, Water Safety Plans, and Watery Diarrhoea. 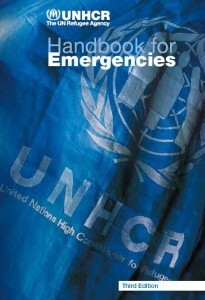 The UNHCR Handbook for Emergencies is a comprehensive and authoritative reference document for refugee settings, built upon the experience of UNHCR and partner organisations. Tags: Bathing Facilities, Bathing Facilities, Boreholes, Boreholes, Boreholes, Boreholes, Bulk Water Treatment, Bulk Water Treatment, Bulk Water Treatment, Child Friendly Facilities, Child Friendly Facilities, Communal Toilets, Communal Toilets, Cross Cutting, Cross Cutting, Disability, Disability, Disease Vector Control, Disease Vector Control, Drainage, Drainage, Drilling, Drilling, Drilling, Drilling, Excreta Management, Excreta Management, Excreta Treatment, Excreta Treatment, Gender, Gender, Grey Water Disposal, Grey Water Disposal, Hand Dug Wells, Hand Dug Wells, Hand Dug Wells, Hand Dug Wells, Handpumps, Handpumps, Handpumps, Handpumps, Handwashing with Soap, Handwashing with Soap, Household Toilets, Household Toilets, Household Water Treatment, Household Water Treatment, Household Water Treatment, Human Right to Water / Sanitation, Human Right to Water / Sanitation, Hygiene Promotion, Hygiene Promotion, Laundering Facilities, Laundering Facilities, Piped Water Networks, Piped Water Networks, Piped Water Networks, Protection, Protection, Rainwater Harvesting, Rainwater Harvesting, Rainwater Harvesting, Solid Waste Management, Solid Waste Management, WASH Assessments, WASH Assessments, WASH Assessments, WASH Coordination, WASH Coordination, WASH Monitoring, WASH Monitoring, WASH Monitoring, WASH Programme Health and Safety, WASH Programme Health and Safety, WASH Programme Management, WASH Programme Management, WASH Programme Management, Water Quality Testing and Surveillance, Water Quality Testing and Surveillance, Water Quality Testing and Surveillance, Water Quality Testing and Surveillance, Water Storage, Water Storage, Water Storage, Water Supply, Water Supply, Water Supply, Water Supply, Water Tankering, Water Tankering, and Water Tankering. Languages: English, English, English, and English. Organisations: UNHCR, UNHCR, and UNHCR. 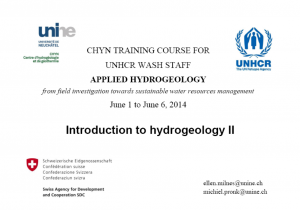 Categories: WASH Reference Documents, WASH Reference Documents, WASH Reference Documents, and WASH Reference Documents.